Marion Halliday hales from Louisville, Kentucky, where she was lead singer in the regionally acclaimed traditional Irish band My Darling Asleep. 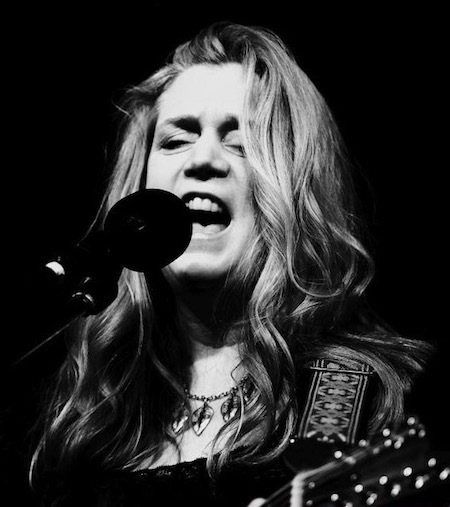 After moving to Philadelphia in 2009, Marion joined forces with Lisa Timmons, Donna Bostock, and Rosie McNamara-Jones to found The Molly Blooms, which plays a fusion of celtic, folk, and bluegrass music. The band has appeared on various local and regional stages and festivals as well as on the WXPN Folk Show several times. A few years ago, Marion, who had fallen in love with her new hometown of Philadelphia, began to write songs for the band focused on historical aspects of Philadelphia. One song, for example, tells the story of an escaped convict from Eastern State Penitentiary. Most recently, Marion has begun to focus on songwriting beyond simply Philly-based historical folks songs and is now performing some of this work on her own, as well as in a newly-formed band called Trickster Sister with her sister, Jane Halliday, a professional violinist out of Louisville, Kentucky, and Donna Bostock, a bassist in the Philadelphia area. Trickster Sister plans to begin doing studio work and performing a series of shows in Louisville, Kentucky, later this summer featuring this original material. Bob Mecklenburger has been performing with his acoustic 6- and 12-string guitars for more 40 years, singing his original songs and folk songs. His clear voice, earnest presence, and fresh song-styling are reminiscent of John Denver. His music speaks of homespun values, the beauty of nature, and the importance of being true to oneself. Accomplished at flatpicking and fingerpicking guitar styles, he highlights both on his CD, "Do It!". 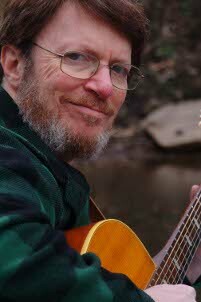 Bob is an active member and past president of the Princeton Folk Music Society. David Perry's performances are a playful mix of music, props, and humor guaranteed to appeal to the kid in us all. This multi-talented artist/musician has popped up everywhere from the Please Touch Museum to WXPN’s Kids Corner to the Philadelphia Folk Festival to the Dr. Demento Show. In 2002, he was selected by the Pennsylvania Library Association as the official artist for their statewide Summer Reading Club program. He is also the founder and president of Kids Express Productions, which since 1993 has been staging intergenerational special events celebrating children's music and art.